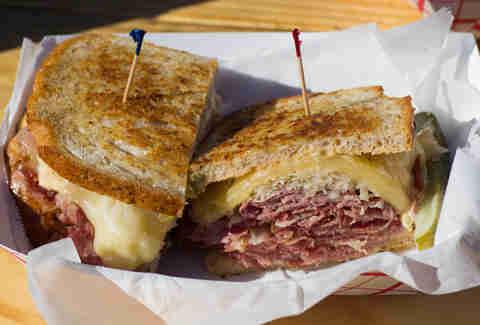 What's the antidote for bad sandwiches? 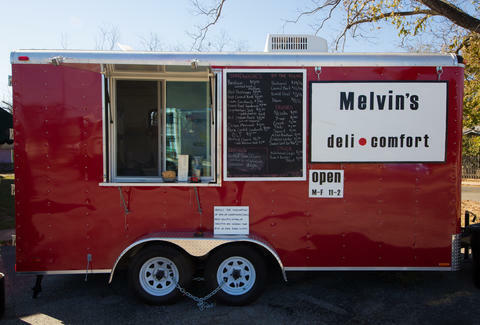 House-curing the meat of course, an ambitious step taken by Melvin's Deli Comfort: a just-launched North Loop food trailer whose name has nothing to do with front-side wedgies, but's rather a combination of the husband-wife owners' names (Melinda and Kevin. Aww.). Slathered with spicy stout mustard they make themselves, this half-pound of hot pastrami on Panera bread will send you straight to the cemetery gaaaaaates. Oh, wait, that's Pantera bread. The part of the belly not used for bacon is seared and confit'd, then topped with vinaigrette, mustard greens, and brie. 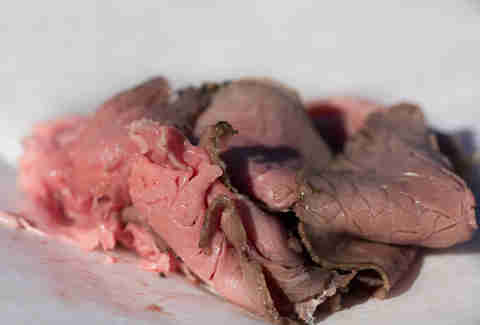 They're also slicing cold cuts by the pound. Order some, and be/make a hero. 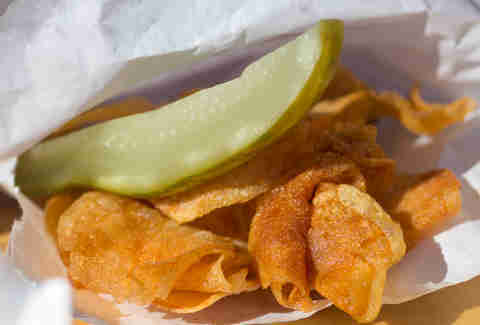 The pickles and potato chips are also made fresh at the trailer, so for once you won't be disappointed that you didn't get Layed. 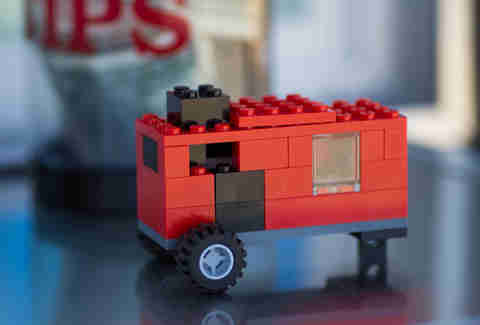 This is a LEGO model they made of their truck. So despite the house-curing and homemade snacks, they've still got a little time on their hands.